If you've been reading the special Outside the Box letters for a while, you know that George has offered a special rate to my readers. To celebrate the pre-release of his new book (as well as an absolute page-turner from his colleague Fred Burton), he's offering my readers even better deals on a Stratfor Memberhip - that include autographed books. The roads of the world are going to be full of potholes for a while - that's just the way it is - but if you want a map of where the road is going, click here to read George's work . I'm hardly alone in considering Stratfor's geopolitical intelligence to be the best private sector intelligence product in the world. I rely on Stratfor's work to help me shape my perspectives about where the world is going and how I can exploit opportunities. I hope you click here to take advantage of George's very kind offer . There has been tremendous controversy over the U.S. invasion of Iraq, which consistently has been contrasted with Afghanistan. Many of those who opposed the Iraq war have supported the war in Afghanistan; indeed, they have argued that among the problems with Iraq is that it diverts resources from Afghanistan. Afghanistan has been seen as an obvious haven for terrorism. This has meant the war in Afghanistan often has been perceived as having a direct effect on al Qaeda and on the ability of radical Islamists to threaten the United States, while Iraq has been seen as unrelated to the main war. Supporters of the war in Iraq support the war in Afghanistan. Opponents of the war in Iraq also support Afghanistan. If there is a good war in our time, Afghanistan is it. It is also a war that is in trouble. In the eyes of many, one of the Afghan war's virtues has been that NATO has participated as an entity. But NATO has come under heavy criticism from U.S. Defense Secretary Robert Gates for its performance. Some, like the Canadians, are threatening to withdraw their troops if other alliance members do not contribute more heavily to the mission. More important, the Taliban have been fighting an effective and intensive insurgency. Further complicating the situation, the roots of many of the military and political issues in Afghanistan are found across the border in Pakistan. If the endgame in Iraq is murky, the endgame if Afghanistan is invisible. The United States, its allies and the Kabul government are fighting a holding action strategically. They do not have the force to destroy the Taliban - and in counterinsurgency, the longer the insurgents maintain their operational capability, the more likely they are to win. Further stiffening the Taliban resolve is the fact that, while insurgents have nowhere to go, foreigners can always decide to go home. To understand the status of the war in Afghanistan, we must begin with what happened between 9/11 and early 2002. Al Qaeda had its primary command and training facilities in Afghanistan. The Taliban had come to power in a civil war among Afghans that broke out after the Soviet withdrawal. The Taliban had close links to the Pakistani Inter-Services Intelligence (ISI). While there was an ideological affinity between the two, there was also a geopolitical attraction. The Soviet invasion of Afghanistan concerned Pakistan gravely. India and the Soviets were aligned, and the Pakistanis feared being caught in a vise. The Pakistanis thus were eager to cooperate with the Americans and Saudis in supporting Islamist fighters against the Soviets. After the Soviets left and the United States lost interest in Afghanistan, the Pakistanis wanted to fill the vacuum. Their support of the Taliban served Pakistani national security interests and the religious proclivities of a large segment of the ISI. After 9/11, the United States saw Afghanistan as its main problem. Al Qaeda, which was not Afghan but an international Islamist group, had received sanctuary from the Taliban. If the United States was to have any chance of defeating al Qaeda, it would be in Afghanistan. A means toward that end was destroying the Taliban government. This was not because the Taliban itself represented a direct threat to the United States but because al Qaeda's presence in Afghanistan did. The United States wanted to act quickly and decisively in order to disrupt al Qaeda. A direct invasion of Afghanistan was therefore not an option. First, it would take many months to deploy U.S. forces. Second, there was no practical place to deploy them. The Iranians wouldn't accept U.S. forces on their soil and the Pakistanis were far from eager to see the Taliban toppled. Basing troops in Tajikistan, Uzbekistan and Turkmenistan along the northern border of Afghanistan was an option but also a logistical nightmare. It would be well into the spring of 2002 before any invasion was possible, and the fear of al Qaeda's actions in the meantime was intense. The United States therefore decided not to invade Afghanistan. Instead, it made deals with groups that opposed the Taliban. In the North, Washington allied with the Northern Alliance, a group with close ties to the Russians. In the West, the United States allied with Persian groups under the influence of Iran. The United States made political arrangements with Moscow and Tehran to allow access to their Afghan allies. The Russians and Iranians both disliked the Taliban and were quite content to help. The mobilized Afghan groups also opposed the Taliban and loved the large sums of money U.S. intelligence operatives provided them. These groups provided the force for the mission. The primary U.S. presence consisted of several hundred troops from U.S. Special Operations Command, along with CIA personnel. The United States also brought a great deal of air power, both Navy and Air Force, into the battle. The small U.S. ground force was to serve as a political liaison with the Afghan groups attacking the Taliban, to provide access to what weapons were available for the Afghan forces and, above all, to coordinate air support for the Afghans against concentrations of Taliban fighters. Airstrikes began a month after 9/11. While Washington turned out an extraordinary political and covert performance, the United States did not invade. Rather, it acquired armies in Afghanistan prepared to carry out the mission and provided them with support and air power. The operation did not defeat the Taliban. Instead, it forced them to make a political and military decision. Political power in Afghanistan does not come from the cities. It comes from the countryside, while the cities are the prize. The Taliban could defend the cities only by massing forces to block attacks by other Afghan factions. But when they massed their forces, the Taliban were vulnerable to air attacks. After experiencing the consequences of U.S. air power, the Taliban made a strategic decision. In the absence of U.S. airstrikes, they could defeat their adversaries and had done so before. While they might have made a fight of it, given U.S. air power, the Taliban selected a different long-term strategy. 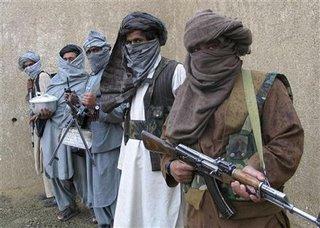 Rather than attempt to defend the cities, the Taliban withdrew, dispersed and made plans to regroup. Their goal was to hold enough of the countryside to maintain their political influence. As in their campaign against the Soviets, the Taliban understood that their Afghan enemies would not pursue them, and that over time, their ability to conduct small-scale operations would negate the value of U.S. airpower and draw the Americans into a difficult fight on unfavorable terms. The United States was not particularly disturbed by the outcome. It was not after the Taliban but al Qaeda. It appears - and much of this remains murky - that the command cell of al Qaeda escaped from Afghan forces and U.S. Special Operations personnel at Tora Bora and slipped across the border into Pakistan. Exactly what happened is unclear, but it is clear that al Qaeda's command cell was not destroyed. The fight against al Qaeda produced a partial victory. Al Qaeda clearly was disrupted and relocated - and was denied its sanctuary. A number of its operatives were captured, further degrading its operational capability. Al Qaeda was degraded but not eliminated. The Taliban remained an intact fighting force, but the United States never really expected them to commit suicide by massing for U.S. B-52 strikes. The United States had never invaded Afghanistan and had made no plans to occupy it. Afghanistan was never the issue, and the Taliban were a subordinate matter. After much of al Qaeda's base lost its sanctuary in Afghanistan and had to relocate to Pakistan, the war in Afghanistan became a sideshow for the U.S. military. Over time, the United States and NATO brought about 50,000 troops to Afghanistan. Their hope was that Hamid Karzai's government would build a force that could defeat the Taliban. But the problem was that, absent U.S. and NATO forces, the Taliban had managed to defeat the forces now arrayed against them once before, in the Afghan civil war. The U.S. commitment of troops was enough to hold the major cities and conduct offensive operations that kept the Taliban off balance, but the United States could not possibly defeat them. The Soviets had deployed 300,000 troops in Afghanistan and could not defeat the mujahideen. NATO, with 50,000 troops and facing the same shifting alliance of factions and tribes that the Soviets couldn't pull together, could not pacify Afghanistan. But vanquishing the Taliban simply was not the goal. The goal was to maintain a presence that could conduct covert operations in Pakistan looking for al Qaeda and keep al Qaeda from returning to Afghanistan. Part of this goal could be achieved by keeping a pro-American government in Kabul under Karzai. The strategy was to keep al Qaeda off balance, preserve Karzai and launch operations against the Taliban designed to prevent them from becoming too effective and aggressive. The entire U.S. military would have been insufficient to defeat the Taliban; the war in Afghanistan thus was simply a holding action. The holding action was made all the more difficult in that the Taliban could not be isolated from their sources of supply or sanctuary; Pakistan provided both. It really didn't matter whether this was because President Pervez Musharraf's government intended to play both sides, whether factions inside the Pakistani military maintained close affinities with the Taliban or whether the Pakistani government and army simply couldn't control tribal elements loyal to al Qaeda. What did matter was that all along the Afghan border - particularly in southern Afghanistan - supplies flowed in from Pakistan, and the Taliban moved into sanctuaries in Pakistan for rest and regrouping. The Taliban was and is operating on their own terrain. They have excellent intelligence about the movements of NATO forces and a flexible and sufficient supply line allowing them to maintain and increase operations and control of the countryside. Having retreated in 2001, the Taliban systematically regrouped, rearmed and began operating as a traditional guerrilla force with an increased penchant for suicide attacks. As in Vietnam, the challenge in fighting a guerrilla force is to cut it off from its supplies. The United States failed to interdict the Ho Chi Minh Trail, and that allowed men and materiel to move into South Vietnam until the United States lost the appetite for war. In Afghanistan, it is the same problem compounded. First, the lines of supply into Pakistan are even more complex than the Ho Chi Minh trail was. Second, the country that provides the supplies is formally allied with the United States. Pakistan is committed both to cutting those lines of supply and aiding the United States in capturing al Qaeda in its Northwest. That is the primary mission, but the subsidiary mission remains keeping the Taliban within tolerable levels of activity and preventing them from posing a threat to more and more of the Afghan countryside and cities. There has been a great deal of focus on Pakistan's assistance in northwestern Afghanistan against al Qaeda, but much less on the line of supply maintaining the Taliban in southern Afghanistan. And as Pakistan has attempted to pursue a policy of balancing its relations with the Taliban and with the United States, the Pakistani government now faces a major jihadist insurgency on its own turf. Afghanistan therefore is not - and in some ways never has been - the center of gravity of the challenge facing the United States. Occupying Afghanistan is inconceivable without a fundamental shift in Pakistan's policies or capabilities. But forcing Pakistan to change its policies in southern Afghanistan really is pointless, since the United States doesn't have enough forces there to take advantage of a Pakistani shift, and Washington doesn't care about the Taliban in the long run. The real issue is the hardest to determine. Is al Qaeda prime - not al Qaeda enthusiasts or sympathizers who are able to carry out local suicide bombings, but the capable covert operatives we saw on 9/11 - still operational? And even if it is degraded, given enough time, will al Qaeda be able to regroup and ramp up its operational capability? If so, then the United States must maintain its posture in Afghanistan, as limited and unbalanced as it is. The United States might even need to consider extending the war to Pakistan in an attempt to seal the border if the Taliban continue to strengthen. But if al Qaeda is not operational, then the rationale for guarding Kabul and Karzai becomes questionable. We have no way of determining whether al Qaeda remains operational; we are not sure anyone can assess that with certainty. Certainly, we have not seen significant operations for a long time, and U.S. covert capabilities should have been able to weaken al Qaeda over the past seven years. But if al Qaeda remains active, capable and in northwestern Pakistan, then the U.S. presence in Afghanistan will continue. Thus, while it may be a better war than Iraq in some sense, it is not a war that can be won or even ended. It just goes on.